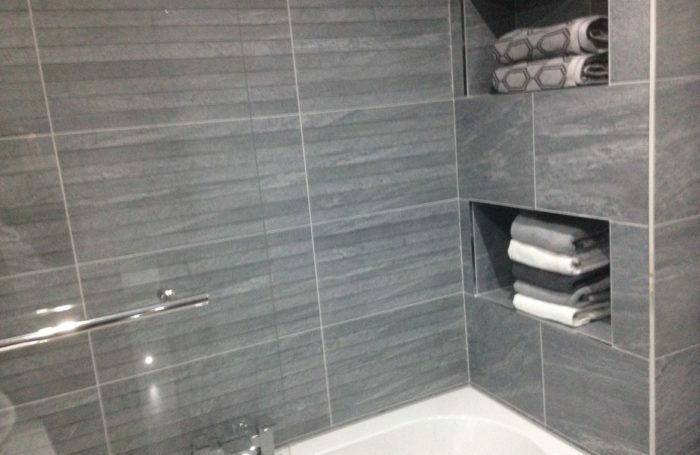 Everyone loves the luxurious experience of having a complete wet room floor in their bathroom, en suite or shower room. In the images here our customer chose to have their downstairs W/C completely remodeled to include a frame less shower enclosure, re-constructed flush fitting bulkhead, matching tiles/ bathroom furniture and LED mood lighting strips placed on the finished tile level providing a stunning up lighting effect. 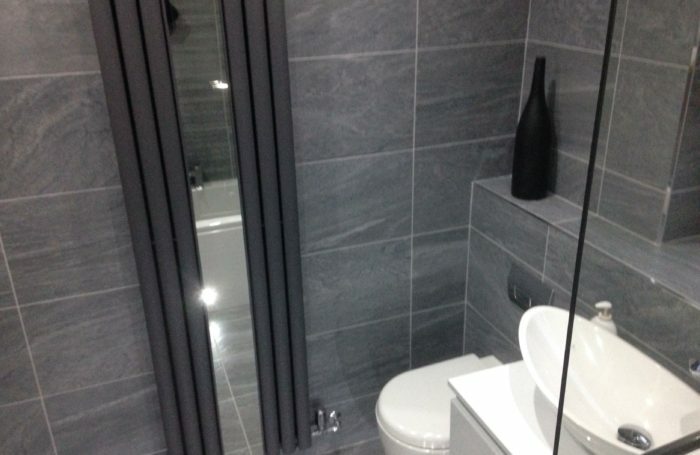 An anthracite towel warmer and concealed mixer shower was also installed adding to the overall finished fresh and modern look.